With the ushering in of the New Year comes the desire for change. Many will make personal resolutions for change, to either break an old habit or commit to a more positive form of behavior, such as spending more time with family or a getting involved in a charitable endeavor. This desire for something new is innate within us and many have sought to use this for success. In 2008 Barack Obama ran on a platform of change and won. He was not the first politician to do this nor, I dare say, will he be the last. 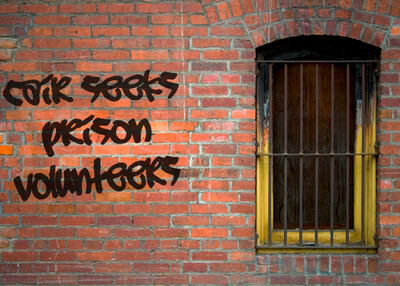 There is in society, however, a place where change is not always for the better: prisons. Jail is often a place, like Dante’s allegory of Hades, where the residents who live there interact with each other in different ways and for different purposes. The official goal is confinement or removal from society. The desired goal is rehabilitation. The reality is neither. Prison can provide a wealth of knowledge and enlightenment. Where else can a two-bit burglar learn to become an international jewel thief, or a purse snatcher grow into a weapons procurement financier? Groups like MPAC are missing the forest for the trees when it comes to domestic radicalization. That's the conclusion of Patrick Dunleavy, writing that while these Islamist organization's criticize law enforcement tactics, they "refuse to see how the process of self-radicalization works and the need for law enforcement's intervention." Writing in the New York Post, Dunleavy, the former deputy inspector general of the New York State Department of Corrections, highlights the role of confidential informants and undercover operations in disrupting domestic terror plots. These same policies are frequently lambasted as entrapment by MPAC and its ilk, and the failure to recognize their effectiveness should cause the law enforcement community to second-guess its outreach to these organizations. As a recent analysis by the Investigative Project on Terrorism demonstrated, MPAC has been hypocritical at best when it comes to the use of informants. While conceding that "informants are an extremely important tool that can be sued to great effectiveness in various kinds of criminal investigations, including counterterrorism ones," MPAC has also made the false and incendiary charge that the FBI uses informants to actually instigate terrorist plots. Christmas-tree lighting after watching YouTube videos. When groups like the Mus lim Public Affairs Council criticize such counterter rorism policies as the use of confidential informants, monitoring of e-mail and Internet sites or sting operations, they display a willful ignorance as to what works. In particular, they refuse to see how the process of self-radicalization works and the need for law enforcement's intervention. Consider the two most recent cases. 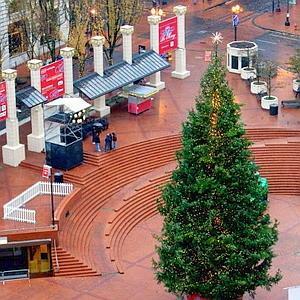 Mohamed Osman Mohamud, 19, plotted to bomb the annual Christmas-tree-lighting festival in downtown Portland, Ore. Antonio Martinez (a k a Muhammad Hussain), 21, conspired to set off a car bomb outside a military recruitment center in Catonsville, Md. In each case, law-enforcement authorities allowed them to "buy enough rope to hang themselves," while ensuring that the plot would be a dud. These and other similar cases have raised cries of "entrapment," yet this is one of the best ways we have to stop someone who's decided to become a terrorist, while still respecting the freedom of thought that's at the core of our society. Understanding the mind of the homegrown terrorist -- and distinguishing him from a mere radical -- is often more like making sense out of nonsense. Mohamud is a Somali immigrant and US citizen; Martinez, the son of a Nicaraguan father and African-American mother. Authorities described both as having been "self-radicalized" after having watched radical Islamic speakers like Anwar al-Awlaki on Web sites such as YouTube. And both published their thoughts about jihad online. Recent press reports regarding the outrage at a convicted cop killer’s parole have all omitted one crucial fact about the subject Shuaib A. Raheem, a former New York State inmate. He was in fact a member of the Dar ul-Islam movement and the incident in which Police Officer Stephen Gilroy was killed was an attempted by radical Islamic members of the group to obtain weapons to fight in a holy war. That was in 1973 when little was known of the word “jihad” or the group. Founded in the early 1960’s in a mosque in Brooklyn, Dar ul-Islam was an alliance between orthodox African American Muslim clergymen Yusef Abdul Mu’min and Yahya Abdul Karim and Middle Eastern clergyman Sheik Daoud Fasil. In 1968, Dar ul-Islam started a prison discipleship program with the goal of establishing a Sunni/Salafi mosque in each one of the state prisons. In January 1973, four members of the movement stormed into John & Al’s Sporting Goods Store in New York City in an attempt to procure weapons for a radical Islamic uprising. The siege lasted two days before the hostages were released. During the gun battle, one NYPD officer, Stephen Gilroy was killed. All four of the members of the movement were arrested and sentenced to lengthy prison terms. At the time of the incident, NYPD Deputy Commissioner Benjamin Ward described the four as members of an orthodox Muslim sect whose motive in the armed robbery was not to obtain money but weapons for jihad.